2017 has been significant for archaeology. We have uncovered new discoveries and made sense of ones we found years ago. There is still plenty more to learn (as there always will be), but this year helped give us a better understanding of the world as it was hundreds and thousands of years ago. In this fascinating list, we discover long lost temples, solve a war-time mystery, explore the myth of Easter Island, as well as unearth ancient settlements, a giant statue, and evidence of the oldest recorded solar eclipse. According to Egypt’s Minister of Antiquities, Khaled Alnani, 2017 has been “a year of archaeological discoveries,” especially after a stagnation period following the 2011 Arab Spring protests. This year, archaeologists uncovered a Roman-era tomb near the town of Minya, three other ancient graves near Samalut which could be part of a much larger cemetery, and a tomb near the Valley of the Kings belonging to a goldsmith named Amenemhat which contained hundreds of artifacts. But the most headline-grabbing discovery was the giant statue unearthed in March underneath the Cairo suburb of Mataria. Initially, archaeologists found the three-ton torso of the statue and later discovered the head. Further excavations uncovered the pedestal and two toes, and officials are confident that most, if not all, of the remaining parts will eventually be found in the same place. Based on the size of the torso, the whole statue should be around nine meters (29 ft) tall. What made the discovery particularly intriguing is that, initially, experts believed the statue to represent Ramses the Great, particularly as it was located near the ruins of his temple. However, a subsequent examination uncovered an engraving with the inscription Neb Aa—a title used only by Pharaoh Psamtek I of the 26th Dynasty. 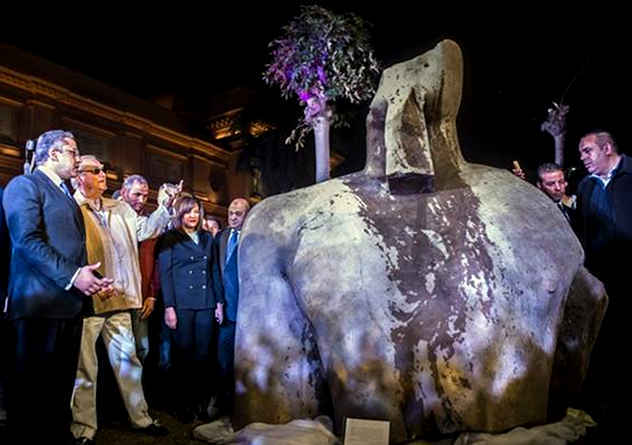 This makes the discovery the largest Late Period statue ever found in Egypt. On February 17, 1864, the Confederate submersible H.L. Hunley became the first combat submarine to sink a battleship when it attacked the sloop-of-war USS Housatonic. This success came with a heavy price, though, as the Hunley and its entire crew were lost that same day and remained lost for 130 years. The wreck was discovered in 1995 and raised in 2000. The skeletons of all eight crew members were at their stations, and there were no signs of an escape attempt. This posed a new question—what killed them? Popular theories suggested that crew of the Housatonic had time to shoot holes into the Hunley before the warship sank, or that the submarine simply collided with another ship on its way home. 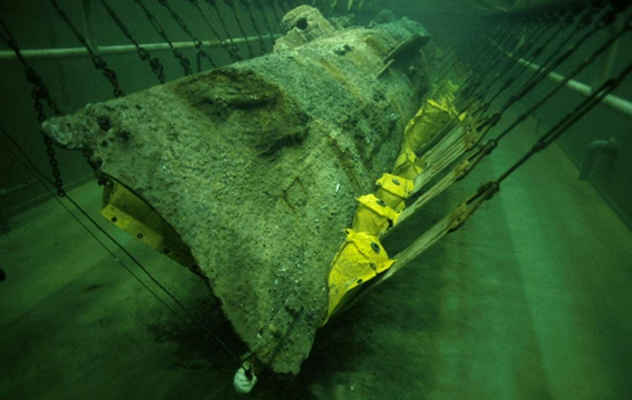 However, researchers announced earlier this year that they believe they have found the answer after performing scale experiments—the blast from the Hunley’s own torpedo killed the people aboard the craft. The submarine was armed only with a spar torpedo—a missile which was never intended to detach and, instead, was rammed into the Housatonic. The explosion caused a pressure wave which traveled through the Hunley and was strong enough to kill or incapacitate the crew. If they did not die immediately, the men suffered from blast lung—a condition which would have rendered them unconscious and cause the ship to sink. A genetic study published this year adds to the growing archaeological evidence which aims to debunk the myth of the Easter Island “ecocide”—the notion that the Rapa Nui people caused their own demise through warfare and deforestation. Easter Island might be tiny, but it is well-known thanks to its moai statues and has been studied extensively. The more scientists researched this small island, which is now almost barren of resources, the more they believed that it was the natives themselves who caused the ecocide of Easter Island. This idea stemmed from two claims. First, the island’s population used to number tens of thousands of inhabitants before plummeting to just a couple of thousand by the time the Europeans arrived in the early 18th century. Second, the Rapa Nui people carelessly deforested the land to move and plant moai, leading to increasingly poorer crop yields and a wood shortage which, eventually, caused the warfare that led to the population’s demise. Archaeologist Carl Lipo was one of the first to contradict the notion of massive warfare between island tribes. He claims that the main evidence for in-fighting comes from oral history which, at this point, is almost 300 years old and hardly reliable. Conversely, only 2.5 percent of human remains from the island which were examined actually showed any signs of injury. As for the trees, the Polynesian rat might have caused the most damage as it ate both palm nuts and saplings. 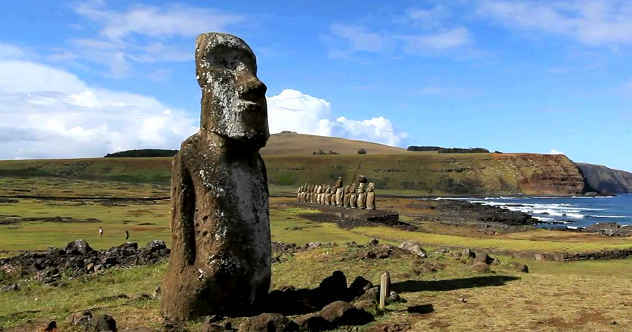 The new genetic study questions the accepted timeline which states that South Americans made contact with the Rapa Nui centuries before Europeans. It also argues that slave raids, introduced disease, and enforced migration from the 18th century on is what actually caused the population to dwindle. After over 100 years of searching, archaeologists have announced that they found the remains of a lost ancient temple dedicated to Artemis. The ruins are located on the Greek island of Euboea, near the coastal town of Amarynthos. Just for clarification, this is not the Temple of Artemis which was considered one of the Seven Wonders of the Ancient World whose remnants are located in modern-day Turkey. Archaeologists began looking for the temple towards the end of the 19th century. The reason it took them this long is that they were working off inaccurate directions. Their main source of information was Strabo, a 1st-century Greek geographer and historian. He wrote that the temple was located seven stades away from the ancient city of Eretria. In the end, the temple was found 60 stades away or almost 11 km (7 miles). The search team got on the right track after they found a Byzantine church which was much further away than Strabo’s claimed distance yet contained stones which appeared to have been reused from an ancient Greek building. 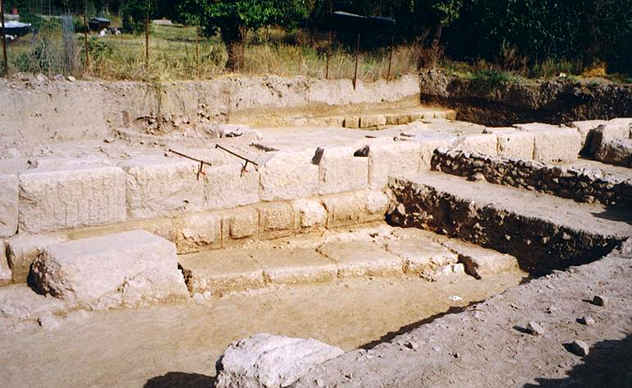 After dismissing the historian’s information, archaeologists moved the search closer to Amarynthos, a city with close ties to the Greek goddess. At first, they found galleries from the northern and eastern parts of the site, later uncovering the core of the sanctuary. Inscriptions with Artemis’ name were found which confirmed the identity of the temple. The Antikythera wreck has been covered extensively, and yet it seems as though there are many new discoveries and revelations to talk about. This Roman-era shipwreck was found back in 1900 by sponge divers exploring near the Greek island of Antikythera. It became famous for a complex device dubbed the Antikythera mechanism which has been hailed as the world’s first analog computer. Mysterious mechanism aside, the Antikythera wreck proved to be a treasure trove of historical artifacts and the most recent dive suggests that there are plenty more things left to discover. 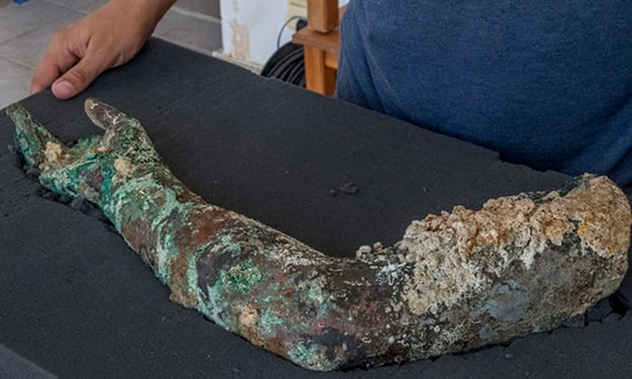 Again, divers uncovered a vast array of relics, and the one that has gotten archaeologists the most excited is the arm of a bronze statue. This is due to two reasons. First, bronze statues are among the rarest artifacts from antiquity. We know from writings that they were incredibly popular but, due to the value of bronze, most of them were melted down and recycled. Second, the arm fragment does not match any statue bodies we have found. This led archaeologists to speculate that the rest of the statue (and perhaps others) can be found somewhere near the deposit which went undisturbed until this year’s excavation. Ancient Greek statuary expert Professor Carol Mattusch views Antikythera as a time capsule which will provide us priceless information regarding ancient statues and their transport. It will also be the first bronze statue excavation project done on-site with modern technology as opposed to most bronze relics which are typically isolated discoveries found randomly by divers or recovered from fishing nets. The early history of humans in North America is spotty, at best, and new discoveries are constantly rewriting our understanding of that time period. 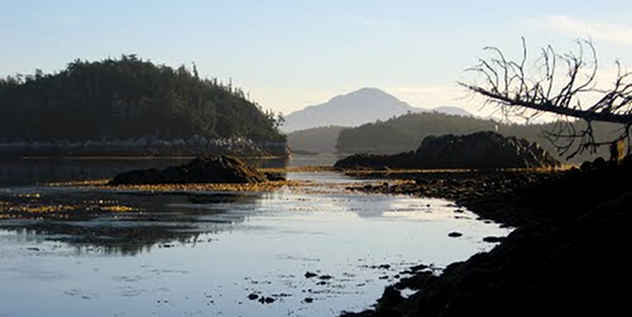 This year, archaeologists found one of the earliest North American settlements on Triquet Island off the coast of British Columbia. This new find supports the idea that British Columbia’s coastline experienced a large human migration at one point in history. Moreover, it also lends credence to the oral histories of First Nations as the site was uncovered based off stories from the indigenous Heiltsuk people. According to them, Triquest Island was a small segment of land which never froze during the last ice age, and their ancestors took refuge there. After excavating several meters of earth, archaeologists uncovered a layer of soil which contained a prehistoric hearth. They recovered small flakes of charcoal which were established to be up to 14,000 years old. Back in the 1880s, archaeologists discovered a large 10th-century Viking gravesite at the settlement of Birka on Bjorko Island. Approximately 1,100 graves were located at the site, but one dubbed Bj 581 immediately stood out from the rest. It was situated on an elevated terrace next to a garrison, and it contained “the complete equipment of a professional warrior”—sword, ax, spear, battle knife, arrows, shields, and horses. Furthermore, scholars also found a board game called hnefatafl in the skeleton’s lap. According to Dr. Charlotte Hedenstierna-Jonson, this indicated that the person was a strategist who made military decisions. The tomb clearly belonged to a high-ranking warrior. Everyone presumed the warrior to be male, but for the past few decades, some have questioned this point, arguing that the skeletal remains featured female characteristics. Earlier this year, the debate was put to bed as a new study revealed the skeleton to be that of a woman. Researchers from Stockholm University used DNA samples recovered from the arm and tooth of the skeleton to show that the individual lacked a Y chromosome. 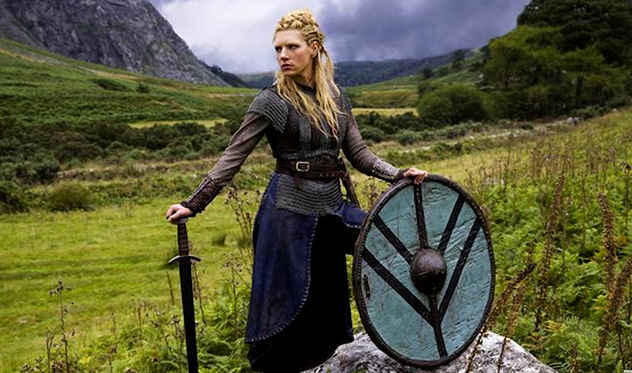 The discovery marks the first confirmed high-ranking female Viking warrior and will probably change how we view gender norms during that age. The team believes that there are a few other female warriors found in tombs in Denmark and hope to test their DNA in the near future. Drones have proven to be an invaluable tool for archaeologists due to the ease and speed with which they can provide high-quality aerial images of hard-to-reach areas. 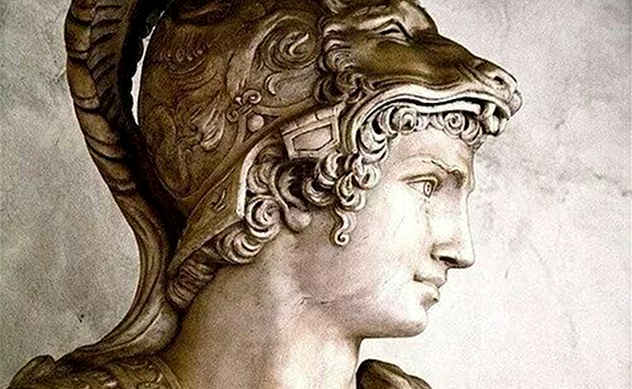 In a short amount of time, drones helped uncover ruins, shipwrecks, and other historical relics, and we can add another item to that list—a lost city founded by Alexander the Great. The city in question is called Qalatga Darband and is located in the modern-day Kurdistan region of Iraq. It was founded sometime in the late fourth century B.C. and developed a thriving wine trade. Despite this, the city disappeared from historical records a few centuries later and was lost for almost 2,000 years. The first photographs of Qalatga Darband were actually taken in the 1960s by the CIA with spy satellites. The images were declassified in 1996 and only recently fell into the hands of scholars who realized that they showed the outlines of ruins. Afterwards, a joint venture between Iraqi and British archaeologists used drones to take modern photographs of the area and found the lost city. Excavations at the site have already uncovered Greco-Roman statues and Greek coins. Progress is slow as part of the efforts of British researchers were dedicated to training their Iraqi counterparts on how to work and protect historical sites in areas impacted by conflict. According to researchers at the University of Cambridge, the oldest known solar eclipse ever recorded happened on October 30, 1207 B.C. They arrived at this date by comparing ancient Egyptian and biblical texts and developed a new code to calculate eclipse dates by taking into account variations such as the planet’s rotation over time. There is independent archaeological evidence which confirms the presence of Israelites in Canaan between 1500 and 1050 B.C. in the form of the Merneptah Stele. This Egyptian text, now found in Cairo’s Egyptian Museum, says that Pharaoh Merneptah defeated the people of Israel in Canaan during the fifth year of his reign. Using this timeframe, Cambridge researchers argue that the only solar eclipse visible from Canaan happened during the afternoon of October 30, 1207. Moreover, scholars can use this eclipse as a fixed point in history to date other events such as the reign of Merneptah or, more significantly, that of his father, Ramses the Great. Towards the end of 2016, people working on Rome’s new Metro line stumbled upon “a sensational discovery of enormous importance.” After taking the time to examine and authenticate the find, archaeologists made the official announcement this April—they uncovered part of one of the oldest aqueducts in Roman history. The new stretch measures 32 meters (105 feet) long and two meters (6.5 feet) high, and it is located 18 meters (59 feet) below Piazza Celimontana. 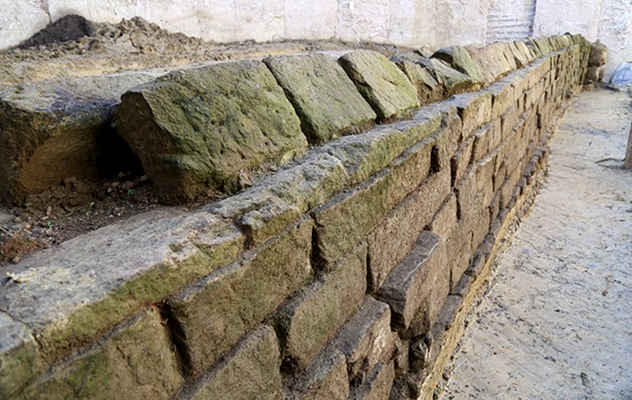 According to archaeologist Simona Morretta, the aqueduct is roughly 2,300 years old and likely part of the Aqua Appia, the oldest known Roman aqueduct, constructed in 312 B.C. As newer, better aqueducts were built in Rome, this one fell out of use and began being used as a sewer. This provided archaeologists studying the structure with an added bonus of food leftovers and animal remains which offered insight into the Roman diet and their preferred pets. The aqueduct is still being investigated with plans to dismantle it and rebuild it at another location to put it on display for the public. Read more about fascinating archaeological discoveries on 10 Amazing Discoveries Made By Amateur Archaeologists and 10 Mysterious Discoveries That Still Puzzle Archaeologists.